If you listen really hard at night, sometimes you can hear it, all the way from Detroit. That’s right, the swan song of the manual transmission can be heard all the way down here in San Diego. Here at Kearny Mesa Automotive we don’t care what kind of transmission you choose to run, we can fix it. We offer one of Kearny Mesa’s most trusted transmission repair and replacement shops. Of course, transmissions are not our only service offering and if you need engine or repair of your hybrid vehicle, our ASE Certified technicians have you covered. We have noticed that less and less manual transmission vehicles are darkening our shop doors lately. We can’t help but wonder, is this a cultural phenomenon, or simply a case of superior technology outpacing antiquated components. Automotive manufacturers are not keen on trying to sell something that does not sell and manual transmissions are definitely in the category. Soon the only manual transmissions around will be in over-the-road trucks. Is this a bad thing? Not necessarily. How many of us grew up banging through the gears of an old ‘70s or ‘80s car that took a little bit of finesse to drive? If that question is being asked anymore, the answer is generally a resounding “no.” Not many have even learned to drive a stick shift and it just doesn’t make sense for manufacturers to continue to produce something that nobody wants anymore. In the automotive community, this is creating a lot of hand wringing and lamenting that the stick shift is dead.The love of the manual transmission is mostly based on nostalgia, and antiquated attitudes of enthusiasts. There was a time when manual transmissions were the best choice for a vehicle, whether it be a performance car or a family car. (Luxury cars never had manual transmissions anyway.) 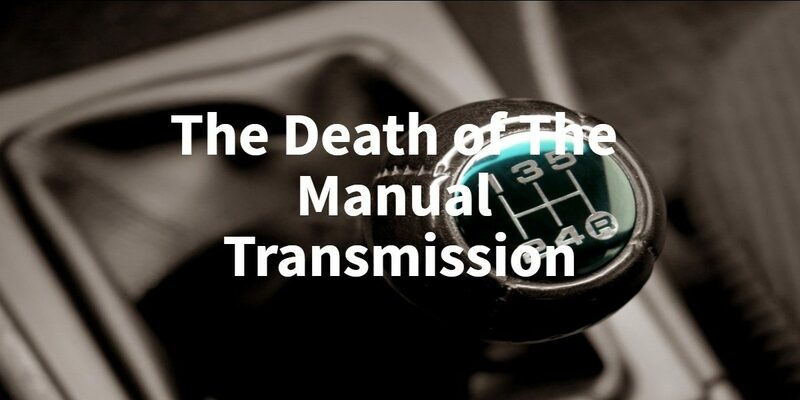 Automatic transmissions were unreliable and tended to break much more often than the manual. This led to the belief that in order to have a performance car you have to have a stick shift. We hate to break it to you but, automatic transmission technology had far exceeded the capabilities of a manual transmission. Now, all performance based cars come standard with automatic transmissions and it is generally an option for a manual, if it is even offered. The capabilities of ordinary vehicles today could be considered incredible over the cars of 40 years ago. 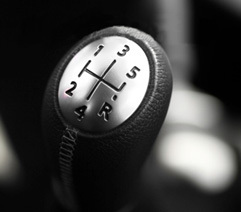 We have been asked, “Are you sad to see the manual transmission go?” As much as we love cars, we will definitely miss shifting through the gears and popping the clutch, but from a practical standpoint, there is just no room in the market for manual transmissions. Maybe someday there will be a resurgence of the manual transmission but with the rise of electric vehicles, it is doubtful. Electric vehicles do not have the same transmissions in a traditional sense and as they become more and more prevalent, the manual transmission will fade off into the sunset.